With so much to offer, Ireland is the perfect place to explore by car. From wide open spaces with weird and wonderful landscapes to historic cities and to the welcoming village pubs where you can relax and enjoy the craic with a pint of the famous black stuff, a road trip through Ireland offers enough diversity and entertainment to keep everyone smiling. There are plenty of sights and attractions scattered throughout Ireland, which means that a road trip from north to south Ireland could take in any number of different variations depending upon what you’d like to see and do. Heading from north to south, here’s our guide to some of the highlights of the Emerald Isle. 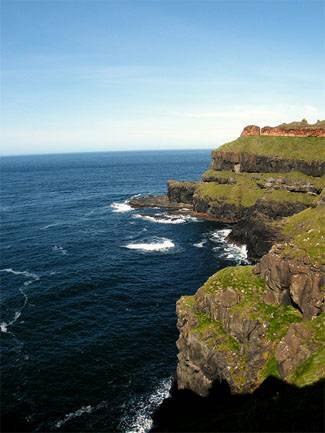 Where better to start your Ireland road trip than in an area of outstanding natural beauty and geological wonder. On Ireland’s Northeast coast in County Antrim, the Giant’s Causeway is a landscape of interlocking hexagonal basalt columns which provide a carpet of stepping stones down to the sea. A UNESCO World Heritage Site, the Giant’s Causeway is Ireland’s most popular visitor attraction and an unforgettable opening to your Ireland road trip. If that leaves in a celebratory mood, you can raise a dram of the good stuff at Ireland’s oldest whiskey distillery, Bushmills, whilst in County Antrim. Heading south, don’t miss the chance to visit Belfast. Welcoming and intimate, Belfast is a thoroughly modern university city with a fascinating history, and plenty to see and do. Architecture buffs will find fine examples of Georgian, Victorian and Edwardian design whilst the Parliament Buildings are an attraction in their own right. 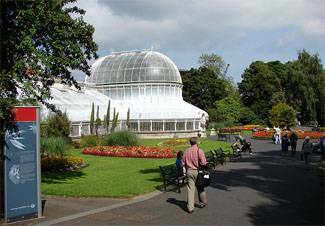 Elsewhere you can visit the shipyard and dock in which the Titanic was built, explore the beautiful Botanical Gardens or get down to some serious shopping. Ireland is justly famed for its wild and romantic scenery, so for those who love the great outdoors, mist-shrouded mountains, forest walks, cascading waterfalls and placid lakes, the Mourne Mountain range to the south of Belfast provides the kind of dramatic and beautiful panoramas that will have you exhausting camera batteries in no time at all. And as you’d expect, the more adventurous can indulge in every possible kind of outdoor activity from climbing to kayaking and to mountain boarding. Now’s the chance to continue your Ireland road trip along the beautiful east coast starting at the popular seaside resort of Newcastle. Bird spotters and wildlife watchers can stretch their legs at Murlough National Nature Reserve, a 6,000 year old system of sand dunes that provide a habitat for a variety of wading birds, butterflies and common and grey seals. Follow the Antrim Coast Road (A2) around to the ancient and picturesque town of Newry and from here you can drive south to the next major destination on your north to south Ireland road trip: Dublin. No Ireland road trip would be complete without time spent in Dublin city. Now truly cosmopolitan, Dublin effortlessly combines history, commerce, entertainment and leisure. 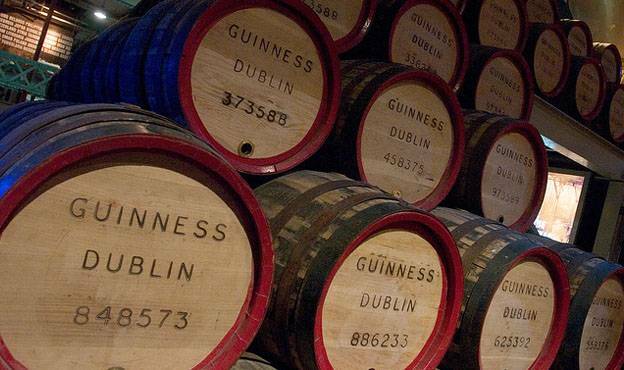 It has more green spaces than any other European capital city and is home to the world famous Guinness brewery, which has been producing the Irish stout since 1759. The almost limitless attractions of Dublin would be nothing without the warmth, amiability and fun-loving hospitality of Dubliners themselves, so if you’re looking for a good night out there’s no better bunch of people to share one with. As you drive south from Dublin take time out to visit the mediaeval city of Kilkenny and in particular the magnificent twelfth-century castle with its beautiful ornamental gardens and the lovingly restored Black Abbey which dates back to 1225. Not far south of Kilkenny you’ll find Waterford, an original Viking settlement and Ireland’s oldest and seventh largest city. Waterford is famous for the production of Waterford Crystal glass, and the city boasts the world’s largest Waterford Crystal shop where you can take a tour to discover how the glass is made. You can test out any glassware you purchase in T & H Doolan’s, a pub that has been serving residents and visitors of Waterford for more than three hundred years. Beyond Waterford your north-south Ireland road trip takes in the Irish Riviera, a collection of five seaside resorts that stretch along the picturesque and temperate south coast of Ireland, with the town of Youghal at its mid-point. The Irish Riviera provides a host of activities including dolphin and whale watching, fishing, golf and sailing and, of course, there is mile after mile of clean sandy beaches to relax on. 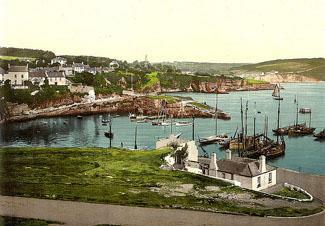 Our suggested road trip through Ireland ends in the city of Cork in the Southwest of Ireland. Cork is a culturally diverse, laid-back city and was recently voted one of the top ten best cities in the world to visit by Lonely Planet. Cork boasts two fine cathedrals and an eclectic mix of architectural styles both old and new. There is plenty of shopping – try the covered English Market, which dates back to 1610 – and, of course, plenty of atmospheric bars just waiting to invite you to join an impromptu ceilidh with the locals as you raise a toast with your favourite Irish tipple to a thoroughly enjoyable road trip through Ireland. When you’re done with your Ireland road trip you can always explore further into the UK, or if you reverse your route and take your road trip from South to North you can connect to Scotland via Belfast ferry post and join up with our suggested Scotland road trip itinerary.